With the new year just around the corner, as a real estate professional, you’re probably wondering what 2017 will bring us by way of technology. While mobile apps for real estate agents and brokers are continuously evolving, new technologies in other areas are steadily emerging. And being the tech-savants we are, we use them to our advantage. Technology is changing, and it’s enhancing our ability to market to and connect with clients and potential clients. 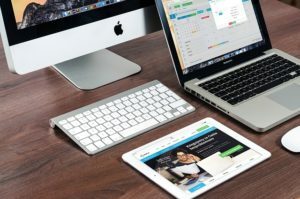 It’s always important to stay abreast of new technology trends, and it’s equally as important to start embracing these trends to keep your business in tune with what buyers and sellers want. Because, let’s be honest, what good is a real estate professional who is behind the times? If you’re a real estate professional who is seriously looking to engage clients in the new year, we’ve got a great option for you. Here at SnApp Real Estate, we are an experienced real estate mobile app development company that promises to build you high performance real estate mobile apps that will keep you become (or stay) technologically savvy in 2017. These apps will help you streamline your business and connect with clients easier. Take advantage of our easy to use and customize application technology. This entry was posted in Mobile apps for real estate agents and brokers, real estate mobile apps, real estate technology, SnApp and tagged Mobile apps for real estate agents and brokers, real estate mobile apps, real estate technology, snapp. Bookmark the permalink.